At DillonMarcus, we are committed to creating world-class organizations. We begin by building world-class Executive teams. Virtua Health System was face with a formidable challenge. See how they prepared for their big day. "DillonMarcus hit all the high notes." A hallmark of our Sounding Board C.E.O. group is back-stage access to great businesses & great leaders. Enjoy highlights of one such visit. Join our Sounding Board today! Congratulations! You found us. 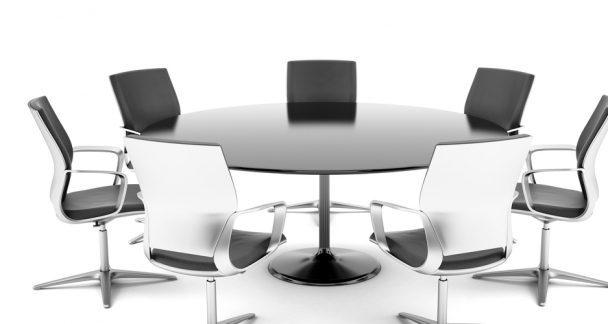 Experts in building World-Class Executive teams. The journey kicks-off with our proprietary Executive Team Assessment where you'll measure how your team ranks in relationship to key Word-Class indicators. It continues with a series of retreats where teams better appreciate their collective influence and act with increased intention. The momentum continues with a calendar of support to help your team evolve and optimize organizational performance. 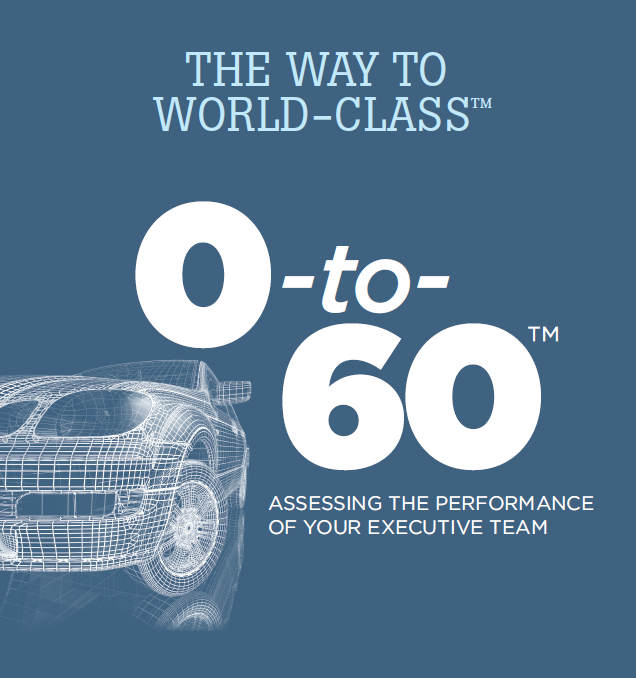 Click HERE to see a preview of our proprietary Executive Team Assessment. Employee stress is a real workplace issue. According to a study from Colonial Life, more than 20% of workers spend more than five hours on the clock each week worrying. An additional 50% of employees said they lose between one and five hours of work to worry each week. 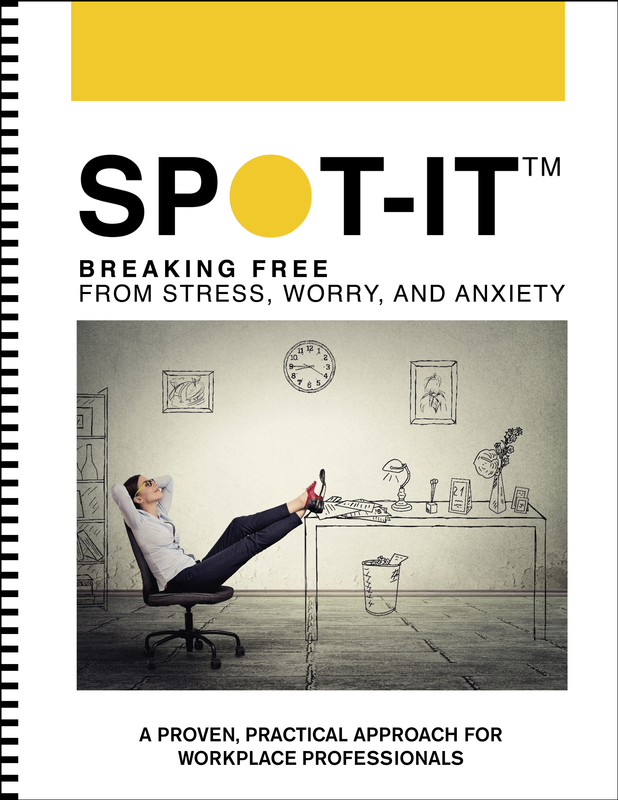 We are about to unleash a practical, proven system to help people better cope with anxiety at work. It's going to be transformational for so many people. Stay tuned for the big news! As women continue their upward trajectory in the business world, they have yet to be fully appreciated for the unique qualities and abilities they bring to the workplace. The most confident and effective leaders are grounded in who they are and what they believe. Unleashing Women!™ is a highly innovative curriculum designed to unleash the untapped potential of your women leaders. Don't wait, invest in your women and start reaping the payoffs of having diversity at the top. Click HERE to learn more about our incredibly powerful offerings. So you’ve made it to the C-Suite. You now have the title Chief Executive Officer, Chief Operations Officer, Chief Financial Officer or one of the other “Chief” titles beneath your name on your door. You've joined a select group that typically have corner offices, significant salaries and a great deal of positional power. Assuming you’ve been properly selected for your position, you have a deep competency in the area for which you’ve been hired. 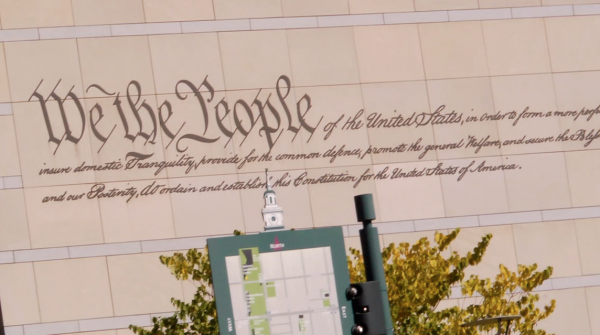 You understand the world of Information Technology or the game of Legal. What you may not understand is what it means to be a Senior Leader in your organization. Typically it is ill-defined and if you were honest with yourself, you’d admit that you are less “trained” for that part of your job than for the one you are "officially" responsible for on the organizational chart. Help us send city kids to camp! Any size donation gets you added to our "Really Cool People" list. Finally, a high-school dream is realized! Evan Marcus shares the news about his book in a short video clip HERE. "We are addicted to struggle and it is killing us." Feeling "not good enough" is the breeding ground for this addiction and no amount of struggle will fill the "not good enough" void. 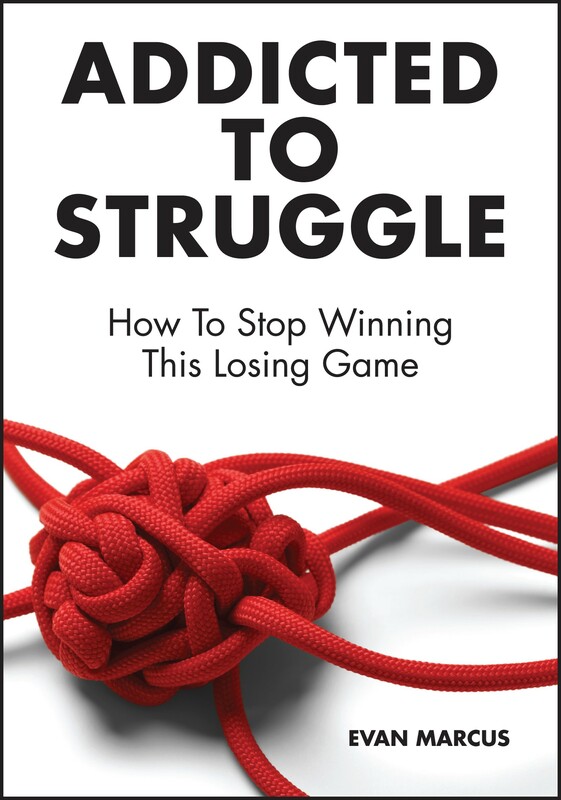 Find out what will - pick up your copy of Addicted To Struggle: How To Stop Winning this Losing Game HERE. Sign up for our online MasterClass HERE. 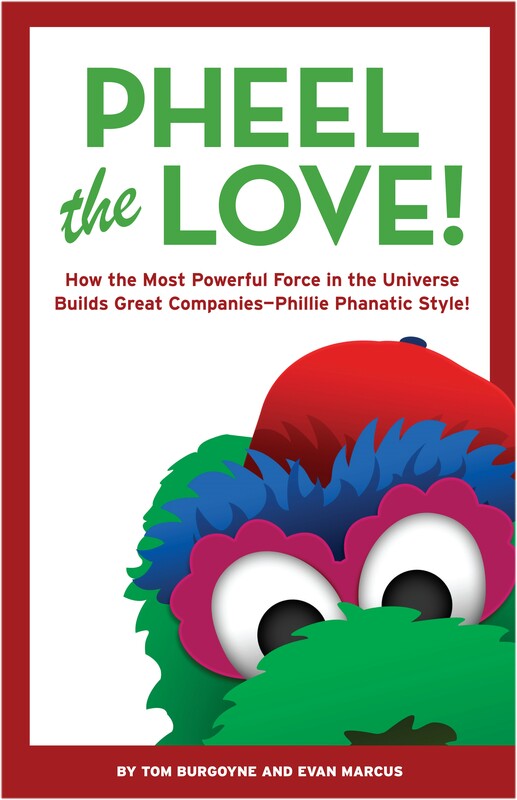 Evan Marcus has partnered with Tom Burgoyne, the "Best Friend" of the Phillie Phanatic, to author a book on...wait for it... the power of love in business. Turns out every indicator of business success is stengthened by love. The book is now available on Amazon.com. Unleash the most powerful force in the universe on your business, ask us about our keynote and workshop offerings. Click HERE to view a short video. Click HERE to visit our Pheel the Love! website.